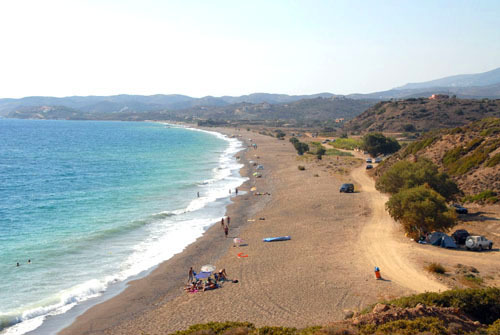 Gonia is located at the NW part of the island, near Volissos, and it’s actually the northern part of Managros beach. It is an organized beach with sand and deep, clear and crystal waters. There is also a beach bar. In the area, near the beach there are lots rooms to let. There is also a Beach Bar at Gonia beach. Managros is located at the NW part of the island, near Volissos. It is a wonderful beach with thick sand and deep, clear and crystal waters, ideal for swimming and sunbathing. 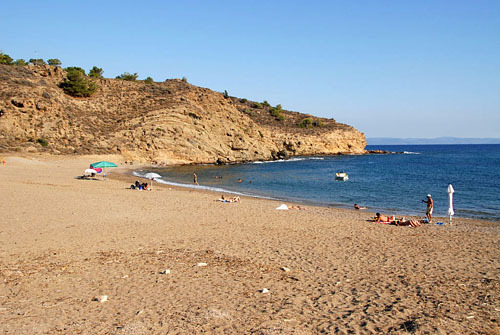 It’s the biggest beach of the island, about 1,5 kilometres. 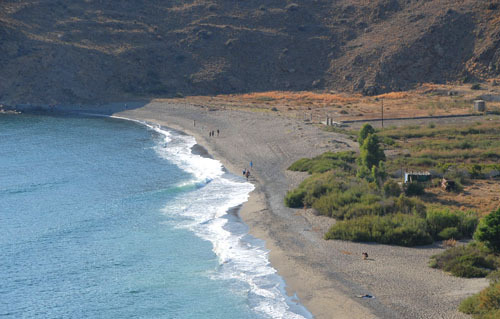 Lefkathia is the most well known and crowed beach of northwestern Chios. 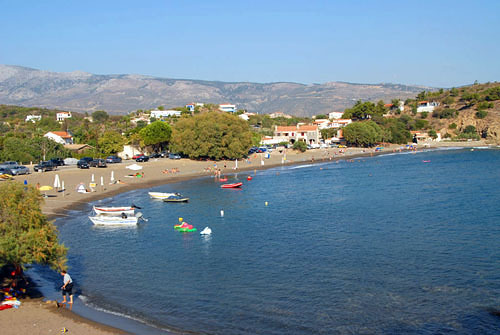 It is located near Volissos, between Limnos and Limnia. It is an organized sandy beach, ideal for sunbathing. It has deep, crystal and clear waters. There is also a beach , which attracts lots of people mainly on the weekends. It the area you can find lots of rooms to let. Limnos is located at the NW part of the island, near Volissos. There are taverns in the area serving fresh seafood. Lampsa is a beach near Limnos, it looks very much alike Limnos beach, only smaller. Aghia Markella is an arrant seashore with what seems to be an endless length of pebbled beach that spreads out to become one with the deep, blue waters of the Aegean sea. There are taverns offering fresh seafood, in the area. The famous church of Aghia Marcella is located near to the beach. The winery "P. Kefalas Estate" located in "Schinies" Volissos in northwestern Chios, about 40 km from the city of Chios.